One great evil is, that men are ignorant of the nature of spirits; their power, laws, government, intelligence, etc., and imagine that when there is anything like power, revelation, or vision manifested, that it must be of God. God has been remarkably generous in offering new light and knowledge in this dispensation. We now have open access to truths kept hidden from the foundation of the world, together with the consequent responsibility to value, learn and apply these truths. We should study them diligently. But we also have a problem. Whether we study diligently or not, deceivers and imposters do, studying how to pull off increasingly effective deceptions, which do, and will, fool all who are not better informed than the deceivers. Greater light empowers them; does it empower us? Suppose, for a moment, he really meant that. Do you have more knowledge than the evil spirits who attempt to mislead you? Or, setting the bar even lower, do you have adequate knowledge to detect the mortal imposters, deceivers and charlatans currently abroad in the world? It’s not getting any easier, and too many are already falling prey to shockingly transparent deceptions. As the deceivers up their game, more will be deceived. Will you? 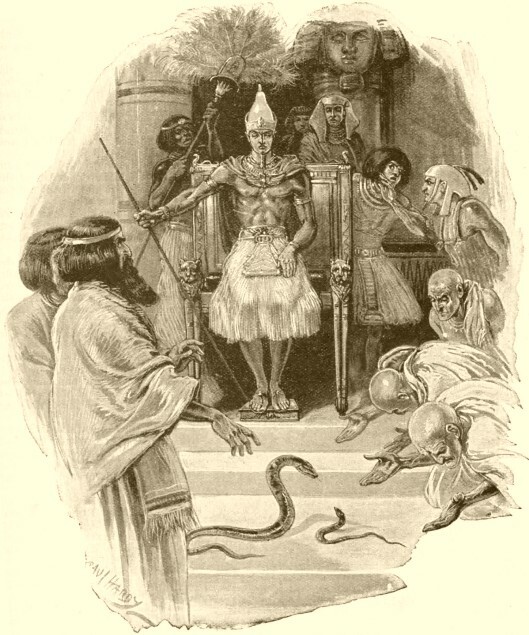 Moses confronted Pharaoh’s magicians, who worked miracles by their sorcery. Is it possible such powerful deceptions will come again? Do you believe the prophecies telling us to expect deceivers working miracles in our day? (Rev. 4:9, 6:8; 8:3, Mark 6:4, Matthew 11:3, 6 NC, among others) How will you tell they are deceivers, when they seemingly exhibit such mighty power—and greater knowledge than you? In the incipient stages of the restoration, imposters beset the church, receiving false visions and revelations, exhibiting spiritual gifts from false spirits, and misleading many. Early among these was Hiram Page, one of the eight witnesses of the Book of Mormon plates. Within three months of his baptism, Hiram began receiving and writing false revelations to the church through a seer stone. 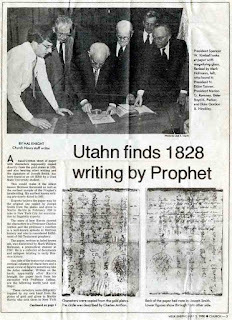 Joseph Smith received a revelation to have Oliver Cowdery correct this error, and Hiram Page repented. Eight years later, though, Hiram turned against Joseph and was excommunicated. This is a man who joined the church less than a week after it was formed. He had seen and handled the gold plates, yet found himself susceptible to deception. This should not be as surprising as it may sound, though. Signs never produce faith. Though signs, wonders, false scriptures, false revelations, forgeries, imitations, and high-quality replicas all abound today, they only lead away from faith. Without the ability to discern, we are all at grave risk. Moses had adequate light and truth within to detect the identity of the false Christ demanding his worship. How would you fare in the same situation? Are we foolish or arrogant enough to presume there will not be another Kirtland-like outpouring of false spirits and deceived followers? Do we presume Hiram Page was an isolated anomaly? Are we really competent enough in the things of God to detect and reject deceivers and deceiving spirits when they come (and they surely will)? In light of these warnings from Joseph, it’s alarming to read current claims of spiritual manifestations—eagerly and publicly shared in great detail—yet bearing the hallmarks of deception. Books, websites, and social media groups do a brisk trade in this false currency, convincing and deceiving the uninformed with instructions about how to “pierce the veil” and obtain a sought-after experience. As I’ve written before, “piercing the veil” will indeed bring you into contact with spiritual beings. But this is no guarantee they will be sources of truth. If “piercing the veil” is your stated goal, you’re practically begging to be misled. Evil spirits with a great deal of knowledge, even the appearance of glory, most surely stand ready to interact with all who will receive them. Likewise, mortals under the influence of false spirits, make lavish claims about themselves, their importance, their titles, callings, authorities, future roles, indispensability to the kingdom of God, and the necessity of following them. Yet, such people have accomplished nothing besides making claims. Didn’t the Lord tell us to judge by their fruits? Where, then, are the fruits, by which we can know them? What good does it do to make claims—as a substitute for the years of actual labor and sacrifice required to accomplish something that furthers the Lord’s work? The Lord warned us explicitly of false Christs who will work great signs and wonders, deceiving, if possible, even the elect according to the covenant. (Matthew 11:6, Mark 6:4 NC). I don’t take this to simply mean there will be deranged people running about, claiming to be Jesus returned (though there certainly are.) Such generally fail to convince anyone, and have little chance of deceiving the elect. What need of the warning, then? No, the dangerous false Christs are those angels of light who make themselves known to those who seek Christ with zeal but not knowledge. They most certainly pretend to be our Lord, and they do a passable job of imitation. Are we to assume every purported experience with a supernatural being claiming to be Christ actually is Christ? Are we to believe every so-called “second comforter experience” trumpeted on the internet, which, upon inspection, bears none of the hallmarks of a true encounter, and disturbing hallmarks of a false one? If every “second comforter” experience is actually genuine, then why did our Lord explicitly warn us of false Christs? 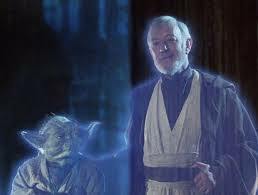 The only logical explanation is that He warned us for good reason, and that there are, and will be, false Christs deceiving, if possible, the very elect. The devil tried it on Moses. He’s not above trying it on you. If you “pierce the veil” unprotected by adequate light within and a reliable connection to the Record of Heaven, you will most certainly be deceived. The light and truth that will protect you are only obtained by the medium of sacrifice. See Lecture Sixth of the Lectures on Faith. Part of that required sacrifice involves putting in the time and diligent effort in study and prayer required to obtain light from God. It’s becoming evident who has not made such effort, as people ask questions and propose ideas that demonstrate their lack of familiarity with what has already been given. We now have a massive library of reliable information available to us, and it continues to grow, thus requiring a concerted effort, spanning years, to come to understanding. Further, God expects us to use critical thinking, sound reasoning, and logic to process what we’re studying. Notice, however, that list of tools does not include emotion—and for good reason. Emotion is unreliable as a revealer of truth. As I’ve written previously, one of Lucifer’s greatest triumphs has been convincing so many that their emotions constitute revelation because they “feel the spirit.” Thus, they make their feelings the final measure of truth, and become easily deceived. Many false ideas offered and believed among us are nothing more than wishful thinking, based on emotional whimsy, demonstrating both ignorance and poor reasoning. Perhaps some of these emotionally appealing, but false ideas, will provide subject matter for a future post in this series. It matters not how compelling, moving, or sentimental an idea the devil presents. His power shook the earth when he commanded Moses to worship him. His dramatic performance included shouting, weeping, wailing, teeth gnashing and trembling. Moses was moved with emotion, but when he gave place for that emotion, he only saw the bitterness of hell. Nevertheless, Moses subordinated his fear, trusted in the light and truth he had already obtained, and overcame the devil himself. If you believe something is true because you “felt the spirit” you are probably deceived. I wish I could proclaim it with the sound of a trump every time I hear someone make this statement. It still happens far too much among a people who should know better. Feelings are not the source of light and truth. And remember, the ONLY way Moses could differentiate was by having MORE light and truth than Satan. Do YOU? Do not be preoccupied with food for your bellies, but for food from God, that is, light and truth, leading to endless progression upward. I am Son Ahman and can give you sustaining light and truth, for God the Father has declared I am His Son. Then Jesus said to them, In the name of Father Ahman I tell you the truth, Moses was not the one who gave bread, it was my Father who did that. But now my Father is offering true life-giving bread from heaven, which is light and truth. For the Bread of God is sent from the Heavenly Council to give light and truth to the world. They responded, Master, feed us with this bread forever.